The two most common styles of mattress are the hybrid and the all-foam. These two variations provide separate benefits that might make one more attractive to certain consumers. So how do you know which one is going to be the best fit for your needs? Well one place to start is with two mattresses that exemplify these two styles that happen to be from the same company, Nest Bedding. 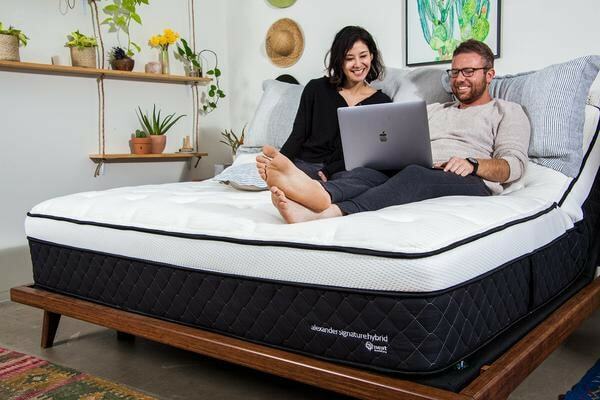 In our Alexander Hybrid vs Alexander Signature comparison we’ll take a closer look at these two amazing and thick mattresses that each offer plenty of benefits. But which one is going to be best for you? Read on to find out which is for you. SAVE BIG! Latest Nest Bedding Coupon HERE! The Alexander Hybrid contains a strong coil system and dense foams. Flexible contouring meets heat dissipation and undisturbed slumber. Measuring in at over 13 inches thick, this hybrid design conveys luxury. With three different firmness levels to choose from, you’ll experience comfort catered to you. Whichever one you choose will give you a balanced feel of pain relief and support. Coming from a trusted brand, you’re sure to get a quality product. Nest Bedding prides itself in providing top notch customer care and service. The company is dedicated to using the healthiest materials for excellent sleep. Better yet, their products are priced affordably. 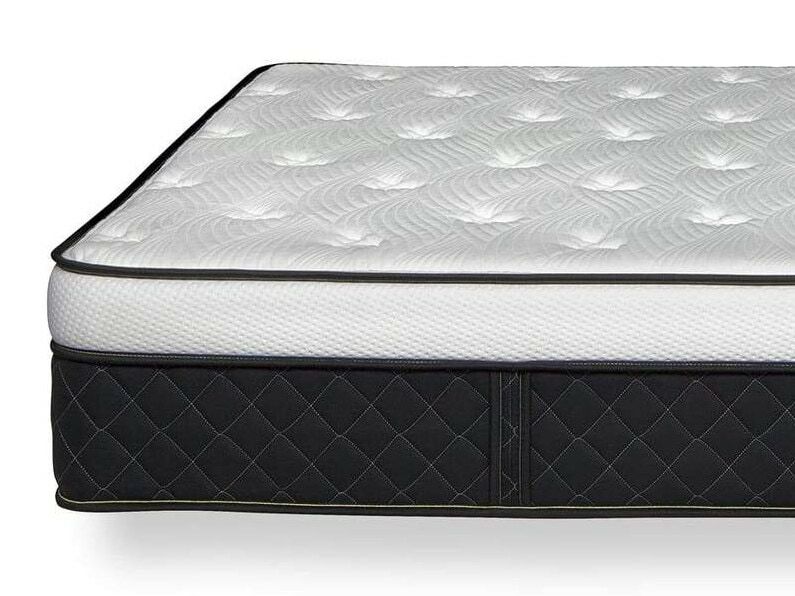 Learn more about the Alexander Hybrid in our in-depth Mattress Review or at NestBedding.com. The Alexander Signature uses only foam materials to provide you the best in a luxury feel. You have the choice of a medium or luxury firm feel in this design. The supportive base foam remains the same while top layers create your customized comfort level. 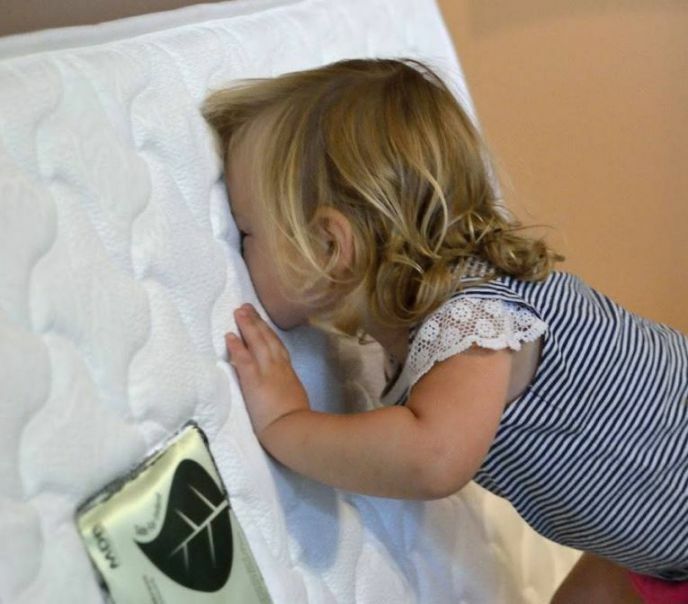 This mattress measures over 12 inches thick, and it uses four layers of high-quality foams. That’s thicker than most ordinary all-foam brands. This translates to a more solid and durable build. 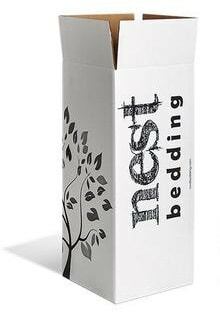 Nest Bedding has taken the average bed-in-a-box standards and implemented better technology and materials. This gives you an extraordinary sleeping experience with your convenient delivery. 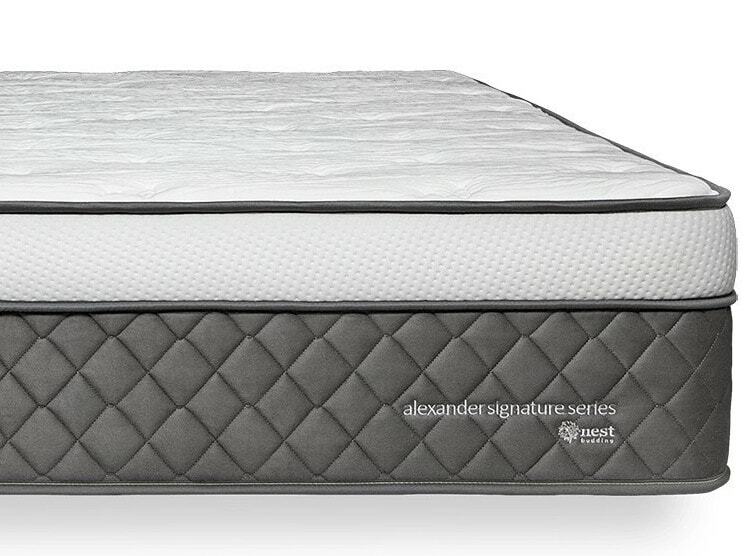 Learn more about the Alexander Signature in our in-depth Mattress Review or at NestBedding.com. Nest Bedding provides a drop shipping method. This service is included with your purchase. After placing your order, your new mattress will be on its way from their factory that is in the USA. It should only be a few days before your delivery arrives. The mattress is compressed and roll-packed tightly into a compact box for convenient delivery and setup. You should ask a friend to help you with the unboxing as the mattress weighs a substantial amount. Once in place, you simply remove from the box. After unrolling it and carefully removing the plastic wrapping, the Alexander Hybrid will quickly come to life. Since these mattresses come from the same company, you get an almost identical experience with the Alexander Signature. You sill get a USA-made mattress with quick and convenient drop shipping. This mattress weighs 70 pounds, which is slightly lighter than the hybrid version. This is still a substantial number, so we suggest setting it up as a team. Once you position it in your desired location, you can begin the unboxing process. Remove it from the box, unroll it, and carefully remove the wrapper. It will take just a few moments to expand. Choose between a hybrid design with the Alexander Hybrid or all foam of the Alexander Signature at NestBedding.com. Since Nest Bedding’s mattresses are made in the USA, off-gassing should be minimal. That is because the products spend less time in the plastic wrapping where fumes are trapped. When you first remove this wrapping from your Alexander Hybrid, you may notice a slight fragrance. It should only be a “new mattress” smell as there are no toxic materials used. If you find yourself sensitive to these odors, avoid the area as the mattress firms up. Increase ventilation to help any smells dissipate faster. Your new Alexander Hybrid mattress should be ready to use within a day or two. Again, the Alexander Signature mattress shares many attributes with other products from Nest Bedding. Off-gassing is another such property that is comparative. The use of non-toxic materials and construction in a USA factory keep odors to a minimum. Still you might get a waft of “new mattress” smell during the unboxing of your new bed. If the smells bother you, you can open a window and turn on a fan. This will help to ventilate the mattress as it firms up. You can expect the true feel of this mattress to be ready within a day or two. It will take around that long to fully firm up. One area of comparison between these two Nest Bedding mattresses is in the comfort provided by each. The Alexander Hybrid comes in three different firmness levels, while the Alexander Signature comes in just two. You will have a consistent feel with any of these five choices. However, you need to consider your sleeping preferences, like position and temperature to make the best selection. There are comfort benefits to having a coil set or all-foam depending on your individual needs. Nest Bedding has formulated its designs on many different aspects to provide the perfect fit for anyone. With the Alexander Hybrid, you get to pick between three different levels of softness to ensure the best sleep. You can choose from plush, medium, or luxury firm to get a balanced feel of pressure relief and support. On a firmness scale where 1 is softest and 10 is firmest, the plush option rates a 3.5. This is not firm enough for stomach sleepers to provide proper spinal alignment. Though, back and side sleepers will love the contoured feel of softness. The medium option rates a 5, which is a more universal feel that appeals to many. Stomach sleepers who prefer a softer feel will have adequate firmness. Back sleepers will have good lumbar support with cradling at the neck and shoulders. Side sleepers will still have enough sinking for pressure relief. The luxury firm option rates at an 8, making it more pleasing for stomach sleepers. There won’t be any back bowing with the firm support offered. This choice is probably too firm for side sleepers to get contoured pressure relief. Still, back sleepers who prefer a firmer feel can get outstanding support through the lumbar region. The additional firmness also makes this a great choice for heavier sleepers. Two different firmness levels in this all-foam design make finding your perfect comfort easy. You can select from a medium or luxury firm variation. Either build of the Alexander Signature will give you a balanced feel of pressure relief and support. The medium option rates a 4.5. to a 5.5 on the firmness scale. This is a true medium feel that supports many kinds of sleepers. Stomach sleepers who like a bit of softness will still get adequate support for proper spinal alignment. Back sleepers will love the hug of softness they get as the supportive foams cradle the lumbar zone. Side sleepers will feel a cocooned contour that creates great pain relief. The luxury firm option will rate around a 6.5 to a 7.5 on the firmness scale. This gives you added strength without sacrificing pressure relief. While side sleeper would still be better with the medium option, we felt that every position was comfortable. This firmness prevents excessive sinking and gives you a strong sense of support. Heavier sleepers will also enjoy the comfort of the luxury firm choice. The Alexander Hybrid contains the perfect combination of foams and coils to create a harmonious balance. The first layer is a 1.5-inch thick Titanium EverCool Foam. This technology keeps you from overheating while providing pressure relief. The next layer is a 1.5-inch thick, 4.5-pound density Slow Recovery Memory Foam. This deepens comfort and gives you a plush feel. Next is a 1-inch thick, 3-pound density SmartFlow Support Foam.This material makes for a great transition to the coil set. Following the foam layers is a coil system made from 8-inch thick, individually wrapped coils. The Quantum Edge Pocketed Support Coils are reinforced around the perimeter for outstanding edge support. The Alexander Hybrid is topped off with a 1.5-inch thick Gel Infused Memory Foam. This addition is built right into the Super Soft Quilted Thermic Phase Change Fabric cover. The materials will change slightly depending on which firmness level you choose. Shop the Alexander Hybrid at NestBedding.com. 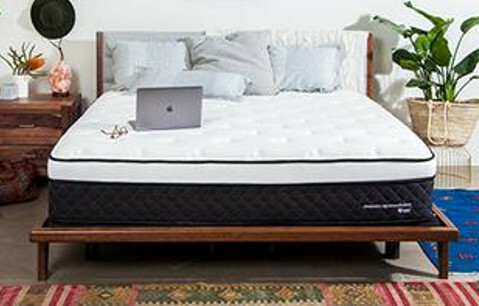 The Alexander Signature mattress is made of only foam layers. The number of layers used will differ depending on which firmness level you choose. The top layer consists of a Gel Infused Memory Foam. It rests atop a Visco Memory Foam to relieve aches and pains. A layer of SmarFlow Foam provides a transition to the Support Base Foam. This dense foundation provides strength and durability. The cover of this mattress is made from a thermic phase changing cooling fabric. It is an 80/20 blend of rayon and polyester that encourages breathability. The side panels are made from a velvety blue fabric that adds style to the overall design. Shop the Alexander Signature at NestBedding.com. The Alexander Hybrid does contain a coil set, which tend to add more buoyancy to mattresses. Though, the springs are individually wrapped, which reduces the transfer of motion from coil to coil. Several layers of dense foams on top readily absorb vibrations causes from changing positions. Since these foams are slow responding in nature, there are less disturbances created. The movement from getting in and out of bed is scarcely felt with the high-quality materials used. We’d recommend this mattress for light sleepers because of the outstanding isolation of motion transfer. The Alexander Signature is made from several layers of dense foams that rapidly reduce motion transfer. Vibrations are soaked up before they can make it from one side of the mattress to the other. You should feel almost no movement at all from the opposite side of the bed. For these reasons, we’d recommend this mattress for light sleepers. It is also a great selection for those whose partner is on a different sleeping schedule. Nest Bedding incorporated heat reducing materials into the Alexander Hybrid mattress. Coil sets help to circulate air, while memory foams tend to retain heat. Starting with the cover, the fabric is a thermic phase change cooling material. It stays cool to the touch. The memory foam layer is infused with copper to dissipate heat by pulling it away from the body. The SmartFlow Support Foam is punched with holes to increase airflow. The coil system provides health air circulation to keep the mattress temperature neutral. The Alexander Signature mattress also has a cover made with thermic phase change cooling fabrics. It redirects heat away from the body to keep you cooler. The memory foam layer is infused with gel to dissipate heat as you sleep. Smartflow air flow foam encourages air circulation to prevent overheating. To maximize your cooling properties, select the luxury firm comfort option. This lets you sleep on top of the mattress rather than in it where warm air can become trapped around you. The Alexander Hybrid features a strong coil set. This automatically makes for a more consistent feel throughout. You should get the same comfort sleeping at the sides as you do in the center. Making your edge support even better is the reinforced coils featured around the perimeter. This gives you stronger durability for sleeping and even some sitting. Denser foams hold their shape which increases the supportive feel of this mattress. We’d recommend this mattress for couples who like to stretch out. You should have plenty of room to do so without feeling like you’ll roll out. The Alexander Signature mattress has a solid edge support that makes for a totally usable surface. You can sleep anywhere from side to side and top to bottom without feeling a rolling out sensation. Dense foams create a stable feel that is both durable and supportive. The only thing to worry with for sleeping is the crowned top, which rounds the mattress at the edges. You can still sleep and even sit for short times. This mattress is another great choice for couples to get the sleeping space they need. 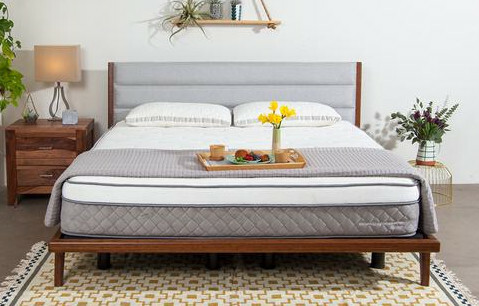 You can purchase a queen-sized Alexander Hybrid mattress from Nest Bedding for $1,199. This pricing includes standard drop shipping. You can try out your new mattress for 100 nights during your sleep trial period. You also get a limited lifetime warranty. There are three different options for firmness, so pick yours according to your needs. The value of this mattress is outstanding at such an affordable price. You get a USA-made product that includes no toxic materials. It will give you a balanced feel and durability to last for years. Make sure to also utilize our coupon to get the latest and greatest price on your new Alexander Hybrid too! Interested in the Alexander Hybrid? Learn more and shop at NestBedding.com. The Alexander Signature mattress is priced the same, at $1,199 for a queen size. You get the same Nest Bedding benefits in your purchase. Drop shipping comes standard at no additional price. You’ll rest assured that you have quality comfort with your 100-night sleep trial. You’ll also have the guarantee of a limited lifetime warranty. There are two different comfort options in this design to bring you customized firmness. With so much value, it’s hard to choose between all the options you get from this amazing company. Also, don’t forget to follow the link below to get the best savings on both of these Nest Bedding mattresses! Interested in the Alexander Signature? Learn more and shop at NestBedding.com. Alexander Hybrid vs Alexander Signature – Our Pick! 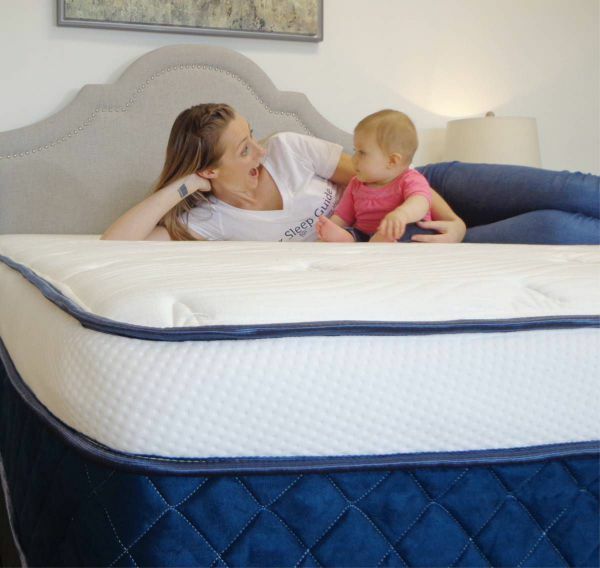 The Alexander Hybrid and the Alexander Signature both come from the Nest Bedding company. They’re both made in the USA with non-toxic materials. With either option, you get consistency in feel of pressure relief and support. There are three firmness levels to choose from in the Alexander Hybrid and two choices in the Alexander Signature. The main difference between these two mattresses is in the materials used to construct them. The Alexander Hybrid combines foams and a coil set, while the Alexander Signature’s design only includes foam. There are benefits to either style. We always recommend a hybrid design over all-foam mattresses. However, the Alexander Signature is a great choice if you prefer the feel of all-foam. Either way, you’ll have a great mattress for a low price. Still unsure? Check out the FULL review of the Alexander Hybrid HERE and the Alexander Signature HERE! We have plenty of reviews and comparisons, so don’t think the Alexander Hybrid vs Alexander Signature is where it stops. Make sure you check out our Mattress Comparison Page. This will give you access to all our comparison reviews. Including some of our most popular side by side reviews. Including the Puffy vs Purple, Casper Wave vs Puffy Lux, Nolah Original vs Nolah Signature and Puffy vs Puffy Lux. As well as some other great hybrids comparisons like the Brooklyn Aurora vs Saatva, Oceano vs Crystal Cove and the Cedar vs Avocado. You’ll surely find your perfect bed with our help! Also have question for Our Sleep Guide? We are happy to help so please feel free to contact us!